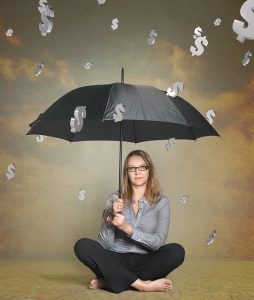 We know what they say – save, have that emergency savings fund tucked away in case of a rainy day. We all try to do just that, doing the best we can. But sometimes we have no choice but to borrow, be it an unexpected bill, expense or perhaps an indulgence such as vacation – provided you can afford monthly payments. Different people are in different stages in their lives – for some, borrowing is as easy as tapping into home equity line of credit. Others would have to look for other alternatives. Some turn to payday loans – after all what is easier than stopping by that store with the flashy sign on the way back from work. The problem is that as easy it is to borrow from payday lender it’s equally difficult to pay it back – interest rates are exorbitant and you do have to pay your loan in full in just 2 weeks. This is why you need to stick with unsecured installment loans. To us, at Loanaway.com it looks more like a trap for unsuspecting victims rather than a solution for anything. Loanaway.com is an online unsecured loans lender in Canada where we think differently. Our innovative philosophy is that we would often approve unsecured personal loan for people with bad credit, because we do believe that people deserve their second chance, yet we would always work with the customer to ensure payment is affordable. We truly want to be a reliable credit solution, innovative financial product, not a never ending debt trap. Apply for a hassle free unsecured personal line of credit today at www.loanaway.com , have your approval within hours and cash in your bank account the very same day – whatever your needs are!